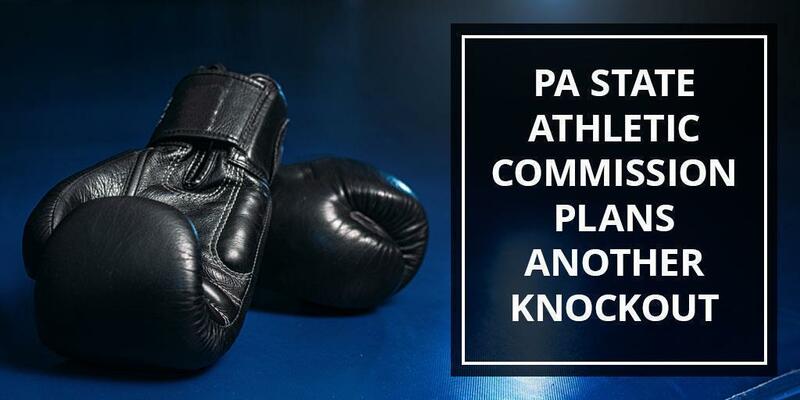 Once again, the Pennsylvania State Athletic Commission (SAC) ranked in the top five of state athletic commissions in 2018, having regulated 37 pro boxing events and 24 mixed martial arts (MMA) events and sanctioning a record 11 televised events. In addition to pro boxing and MMA, the SAC regulates amateur boxing, kickboxing/Muay-Tai and professional wrestling contests in the commonwealth. The commission licenses more than 400 boxers and 500 professional and amateur mixed martial artists as well as athlete agents who do business in the commonwealth. In 2018, the commission issued 2,369 licenses. The commission, which is an agency within the Department of State, was founded in 1923 and comprises five voting members – three commissioners, the chairman of the Medical Advisory Board, and the Secretary of the Commonwealth. Staff include an executive director, a deputy director and 35 inspectors throughout the commonwealth who monitor activities when an event is taking place. The SAC is financially self-sufficient and brought in $900,000 in revenue in 2018. January 26: An international Professional-Amateur (Pro-Am) boxing show will be held at the Santander Arena in Reading. It will feature a 10-round female world title fight. February 15-16: Pennsylvania will sanction back-to-back nights of Pro-Am Mixed Martial Arts action. Both events will be held at the 2300 Arena in Philadelphia. February 23: The Met Philadelphia will host a pro boxing match for the first time. The former Philadelphia Metropolitan Opera House, built in 1908, is listed on both the Pennsylvania State and National Registers of Historic Places. March 25: The SAC will sanction a world title bout featuring Philadelphia's own Tevin Farmer, who captured the International Boxing Federation super featherweight title in 2018. This event will be held at the Liacouras Center at Temple University and will air live on DAZN. March 26: The SAC will also sanction the first Pro-Am Mixed Martial Arts event at the recently opened Grand Ballroom at the Rivers Casino in Pittsburgh. The success of the SAC would not be possible without our hardworking commission members and staff, our amazing athletes and, of course, our loyal fans. We hope to see you at one of our upcoming matches.